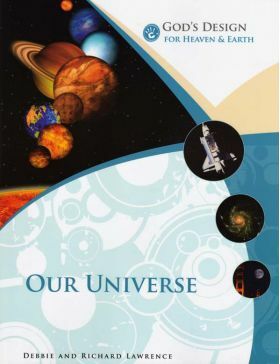 In Our Universe you will Explore our solar system and the universe in this book. Learn about each planet and see how Earth was specially designed by God to support life. See God’s hand as you study nebulae, stars, comets, and meteors. Also, learn about the space program and see what it takes to be an astronaut. Learn how one astronaut used his life to bring glory to God. Use this student textbook with the Our Universe Teacher's Supplement for teacher instructions, answer keys, and a resource CD-ROM.